No chemicals, no additives. Only the best that nature has to offer. New Zealand Active 16+ Manuka Honey is renowned for its antibacterial, and powerful anti-aging and healing qualities. Its additional bioactive components make it distinct from other honeys. It is rich in carbohydrates, proteins, amino acids, essential fatty acids, vitamins B & C, minerals, antioxidants and sugars. Together they provide nutrition, enhance skin cell repair and renewal, and promote collagen production. Kiwifruit extract is rich in good quality essential fatty acids and hardworking anti-oxidants. It contains high levels of vitamin C and has been scientifically shown to inhibit melanin production. Its unique lightening and brightening effect helps to restore clarity and reduce the appearance of redness, dark spots and skin pigmentation caused by the ageing process. Our Bee Venom is harvested naturally and kindly from honey bees (no bees are hurt in the process). Bee Venom has many positive effects on the skin and is often used as a natural alternative to Botox and more invasive clinical skin treatments. Our independent scientific research indicates that the Bee Venom used in Au’s products will enhance skin cell renewal by more than 80% compared to other natural products. Independent scientific research was conducted by Trinity BioActives Laboratories in New Zealand with the assistance of a New Zealand Government Ministry of Science and Innovation grant. The research tested the effects on skin cell proliferation/stimulation of eight test samples which contained various BioActive ingredients from the Au Natural Skinfood range. 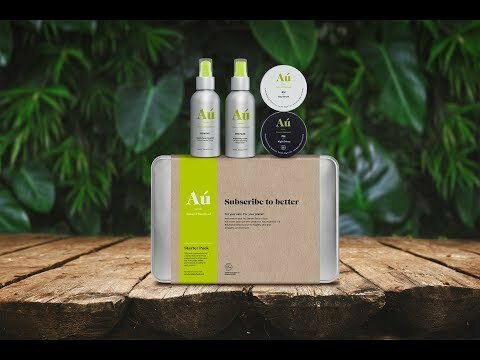 For its four core products, Au Natural uses aluminium containers that you can refill through plant-based eco-pouches delivered straight to your door. All Au packaging and shipping materials are sustainable, recyclable or compostable, making Au Natural one of the first skincare services to be end-to-end zero waste. emails delivered straight to your inbox. Oops! There has either been an error or you are already subscribed to our list. We promise never to share your details and you can opt out any time. Discover how we maintain your privacy.